These premium surcharges are typically unavoidable except for some planning a Roth Conversion. Advisors have helped to shift fund management toward stewardship, but many fund companies still have room for improvement. Despite the appearance of stability, preferred stocks can become especially volatile when markets are reeling. This year’s golden nugget goes to Buffett’s definition of risk. The Principles for Responsible Investment is leveraging its network in noteworthy ways. “America’s leader in financial planning” is ill-serving its own employees. There are three rules that we follow when looking for an investment strategy and the low volatility strategy fails two. Investing in America began with the bankruptcy of the hottest stock in England. A board of directors is supposed to be accountable to the shareholders but sometimes they need a reminder. With three years remaining on a ten year $1 million bet, Buffett is sitting pretty to win it. The legal defense of Harold Hamm hinged on the belief that his wealth was the result of happenstance. In theory, the directors of a corporation are hired to provide independent oversight and protect shareholder interests. In practice, they’ve developed a reputation as country club chums with the executive managers. Investors have every right to question whether a fund company can cast an impartial vote. When this poor planning affects the investments in our 401(k) plans and the communities that we live in, we pay more and we get less. This video discusses Neighborhood Assistance Programs, and how donating to a local charity can both help people in your area and help you with your Virginia tax bill. Our firm decided to become a 3(38) investment manager because playing this role offers our clients administrative relief. By taking on the role of a 3(38) adviser, we accept responsibility for selecting a prudent investment strategy. Church Hill Activities and Tutoring is one example of the many charities that are granted tax credits to share with donors. The majority of stocks are no longer held directly and shareholders are not legal owners but are called beneficial owners. We explore what these changes mean for the average investor. 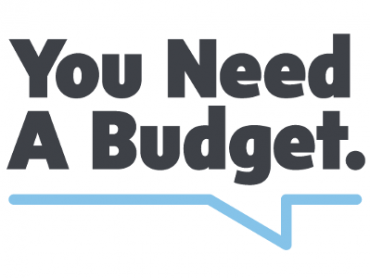 The good people at You Need A Budget (YNAB) have made their budgeting solution free for college students; including part-time students. Where Are You in the Financial Lifecycle? This may be considered a get rich slowly article but it has more to do with learning to manage your resources and emotions around money. Investing in mutual funds and ETFs offers an efficient solution for investors to engage in corporate governance issues. When you purchase a fund, you authorize fund managers to vote proxies on your behalf. With less than two minutes a day and a smartphone, Budgeting Lite will help you become more mindful about your spending and regain a sense of control over your finances. For five of the last six years, the simple index fund has outperformed the so-called expert hedge funds, and Buffett’s competition is starting to feel the heat. Here are three important take aways from this big bet. Is the Federal Reserve Really Tapering? The conflicting information of the Federal Reserve report has to do with the so-called tapering of asset purchases. Imagine these two strategies competing in a track race. It’s as if one runner were told to wait until the other finished her first lap before beginning. How should investors respond to tender offers? 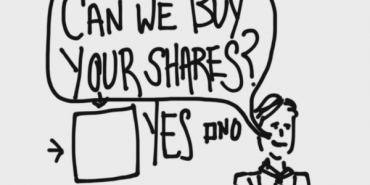 Advice for those who own individual stocks when a response to a tender offer is needed. The research for this article turned out to be much more interesting than I first anticipated. Many people lack the time and expertise to develop an intelligent retirement asset allocation plan. We have created several asset allocation tools to aid those seeking an intelligently diversified portfolio.